With roots dating back to the Great Exhibition of 1851, Imperial College has a long history of higher education. Imperial College’s Business School, the first iteration of which began in 1971 and gained legitimacy as the AMBA-accredited Management School in 1987, was named as such in 2008. As a part of Imperial College London, one of the finest science and technology institutions in the UK, the Business School operates at the heady intersection of business, science, technology, and medicine. The institution is also accredited by EQUIS and the AACSB. The Imperial College Business School is located in the heart of London, just minutes away from the city’s financial center, the museum district, and a short walk from Hyde Park and Kensington Gardens. Access to the school is quick and easy via the city’s public transit system, with near proximity to the Heathrow, Gatwick, and Stansted airports. Following a £27 million donation, in 2004, a modern building designed by Lord Norman Foster was erected to house the College’s main entrance and the Business School. The building features seven dramatic lecture theaters as well as state-of-the-art study spaces and classrooms. 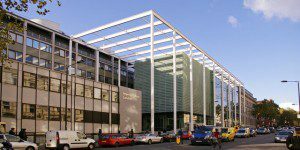 Also on the South Kensington Campus are the Central Library, which has all variety of study spaces and education resources, and the Imperial College Health Centre. With 100 professors and research fellows, the Business School aims to provide students with an international and extremely well-informed cadre of professors to push them beyond the pack. Most of these professors also engage in groundbreaking, cross-disciplinary research, which informs their pedagogy and leads the way for the students. In recent academic years, Imperial College Business School had 1,124 students enrolled, 299 of which were in MBA programs of one sort or another. Imperial College London has over 16,000 students overall, nearly 10,000 of which are undergraduate. Imperial offers full-time, Executive, Weekend, and Global Online MBA programs.